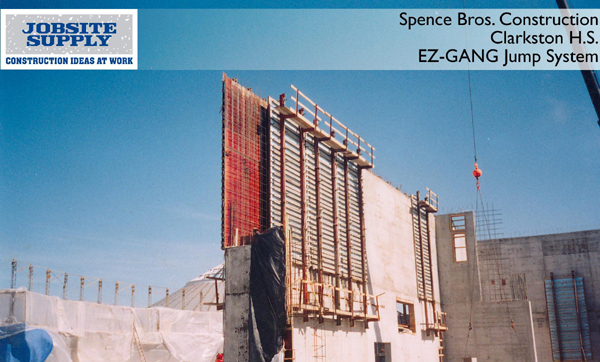 EZ-Gang™ is Jobsite Supply's pre-assembled concrete forming system for straight walls. 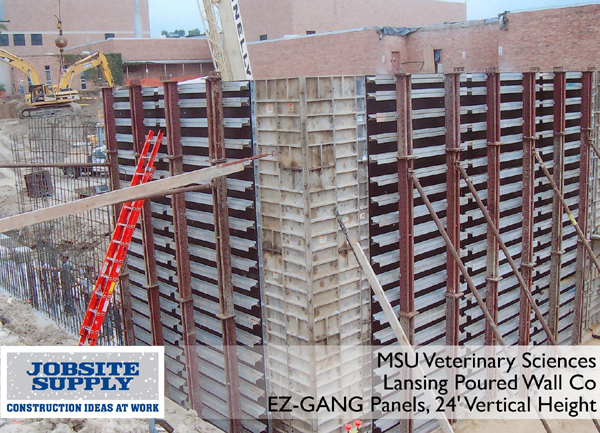 This is a great system for repetitive pour situations where panel width and height stay the same. 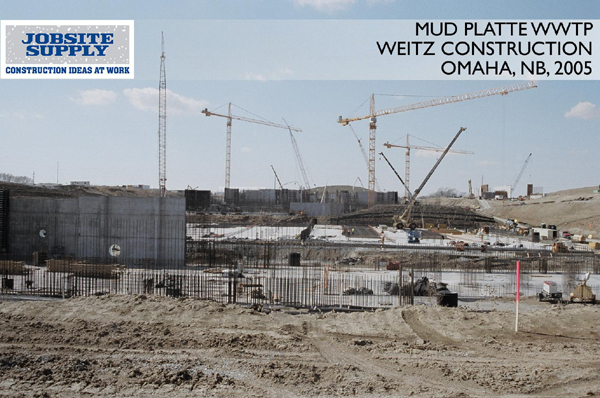 Standard widths are 4' to 12', or 14' to 24' in a segmented delivery. 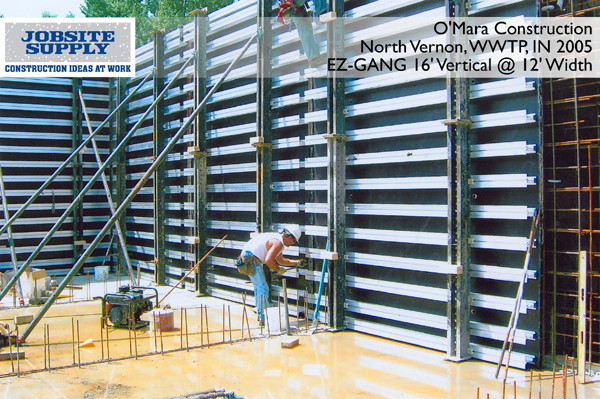 EZ-Gang™ is also used very effectively in many custom applications. 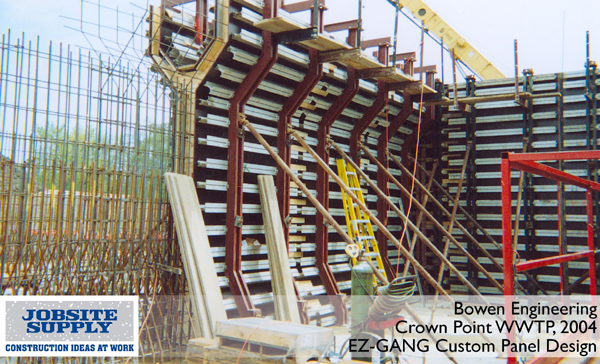 EZ-Gang™ is a versatile system that uses she-bolts or taper ties.